We are proud at Dayton Pilots’ Club to have a well established and well maintained flying club since 1958. This means aircraft that help you as the pilot fly safely, economically, and with confidence. People, a community, a flying family. We offer monthly meetings, social events, safety seminars, and of course, fellowship with other pilots who share a passion for flying. And it’s here that like-minded people tell stories, have ideas, who have “been there, done that”, which makes us all better pilots… and better people. 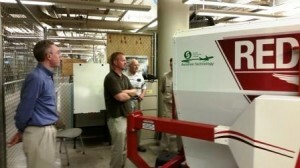 We have a list of instructors that would be happy to instruct the Instrument or Advanced pilot. 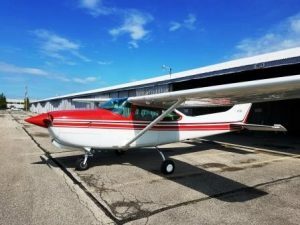 A true cross country, 4 place aircraft, that can take you and friends to lunch or on vacation. We utilize a convenient 24/7 online scheduling website. Aircraft can be scheduled by the hour, day or week (try that at an FBO). We offer advanced scheduling, even a month in advance. And we have low daily minimums if you want to schedule an aircraft for 4 hours or more: 1 hour minimum charge Monday through Friday, and 1.5 hours minimum charge Saturday and Sunday. 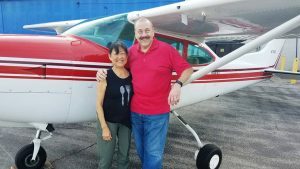 Dayton Pilots’ Club is committed to helping its members maintain their skills and fly safely. 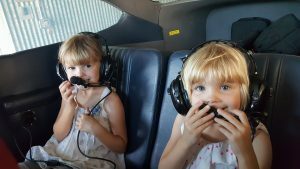 Regular Safety Meetings provide anything from Winter Flying Tips, Cross-Country tools, even tours of a busy control tower and hands-on experience with a full motion flight simulator. 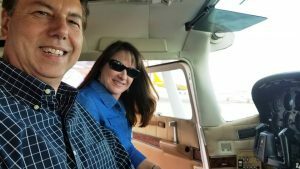 Our Instructors are available for Instrument and Advanced training, plus they offer their expertise to members for the required Club Annual Flight Review. Low monthly dues: DPC monthly dues provide for meetings, annual maintenance, hangers, GPS database updates, plus Insurance with no subrogation. Monthly dues are currently set at $125.00 per month (which includes Ohio sales tax), and may go up or down depending upon fixed costs of operation. Low Flying Rates: Our flying rates are very reasonable and based on Tach time, not Hobbs time (which saves you 10-15%). And they are “wet” rates, which means fuel, oil, and maintenance are included. Our rates are adjusted periodically to reflect actual current operating costs. See the “Our Aircraft” page for the current rate.